There are some pool projects where the customer comes to us with a budget rather than a vision. Such was the case with this stunning backyard outdoor entertainment paradise. With this particular project, we worked with the home’s developer to create a backyard oasis that was every bit as stunning as the home itself. 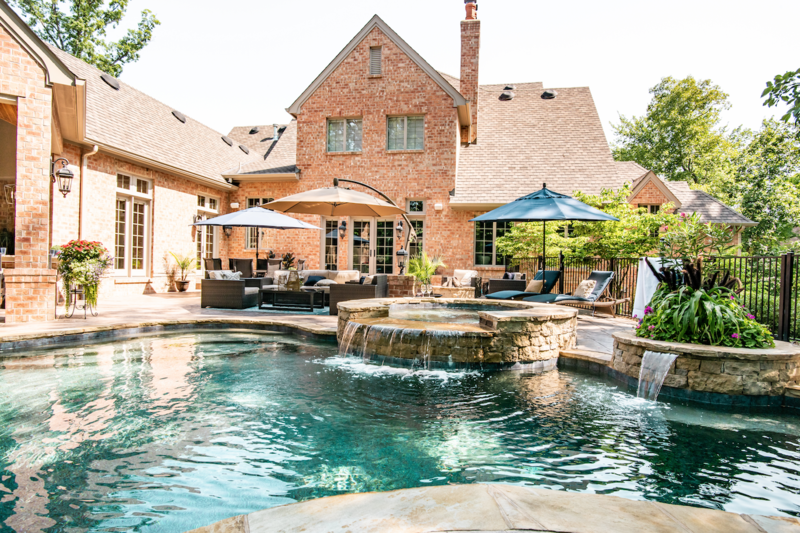 Having an outdoor space to entertain family and friends on a grand scale was high on this homeowner’s list and they knew their pool would be the focal point of their backyard oasis. But that was just the beginning. The family had moved into their home about 10 years ago and at the time, it had a fiberglass pool in the backyard. “It was great that we had a pool,” said the owner. “But it was so small – two rafts in it and it was pretty much full,” he added. How we turned a vision of a backyard oasis into reality. Liquid Assets Pools is always touting its ability to build a true backyard oasis. But it’s rare when a potential customer calls us and asks us to do exactly that – create and build a backyard oasis. By tom|2018-07-02T18:02:45+00:00July 2nd, 2018|Building Stages, Uncategorized|Comments Off on How we turned a vision of a backyard oasis into reality. There are many factors that go into choosing who should build your pool. But one added bonus that is often overlooked is the fact that Liquid Assets provides our very own ‘Pool School’ orientation to get new pool owners totally up-to-speed regarding the on-going operation of their new pool. Awards are great. Customer trust is even greater. By tom|2018-02-27T14:30:48+00:00February 27th, 2018|Design, Uncategorized|Comments Off on Awards are great. Customer trust is even greater. 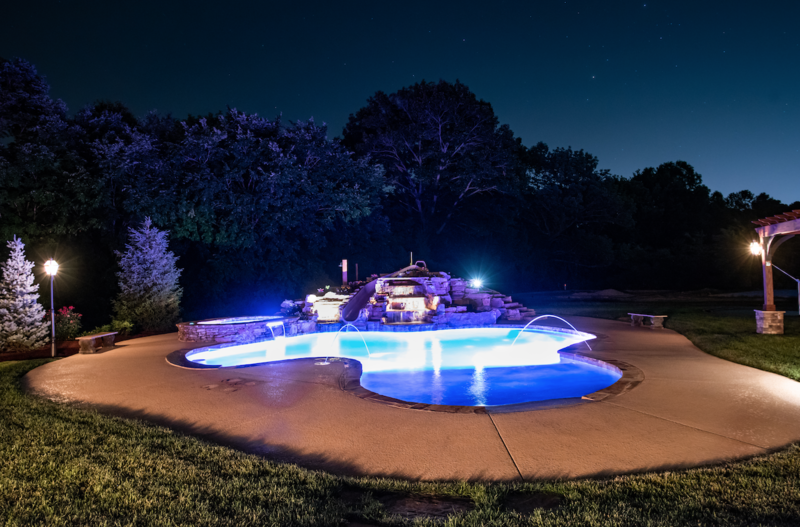 Liquid Assets Pools will soon be starting its 14th year serving the metro St. Louis region as well as the Lake of the Ozarks as one of the premier gunite concrete construction pool builders in the area. No, it wasn’t a balmy day two Thanksgivings ago, but the weather was pretty nice for late November and on a whim, dad had decided to open the pool cover on our new, Liquid Assets pool that we had installed earlier in the year.